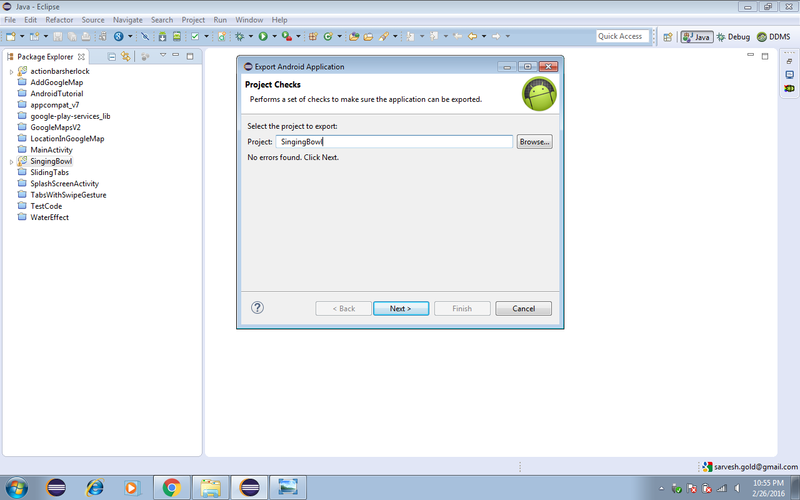 In this blog ,explain how to export android in eclipse platform. Step 1. Open the eclipse and choose project in eclipse . Step 2. 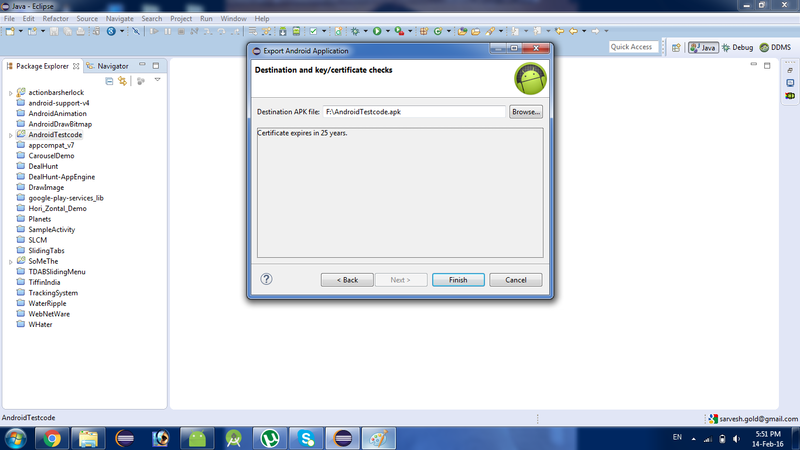 Right click on export project & select the Android Tool --> Export Signed Application Package.show below image(1.0). 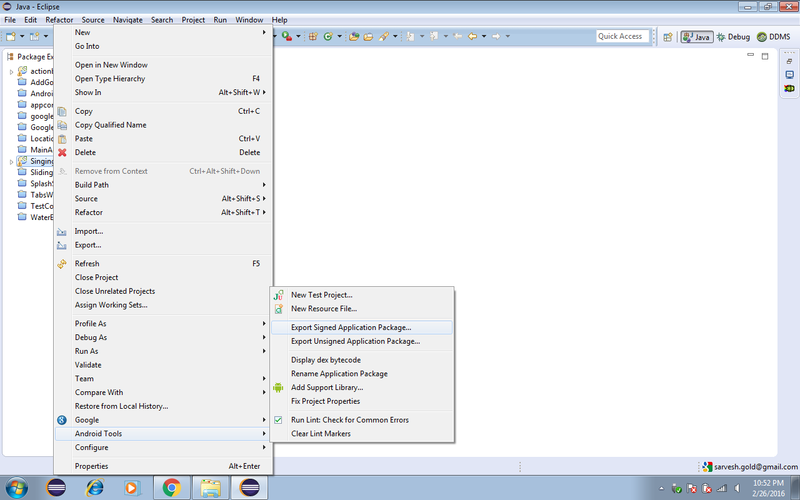 Step 4.Then, onClick Next button open new window choose the one option keystore selection . 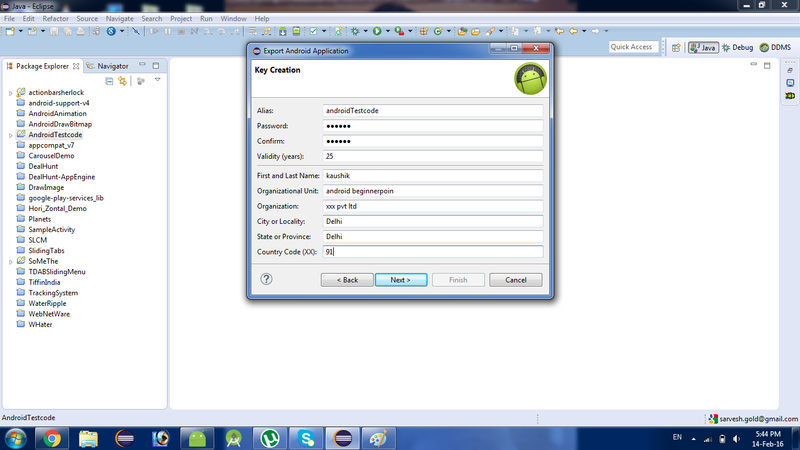 second, Use Create New Keystore. (when you can create a new keystore). After ketstore selection enter the password and confirm password, and click on next button.show below image(1.2). Step 5.Then ,Open the new key Creation window ,you can fill all text field .show below image (1.3). 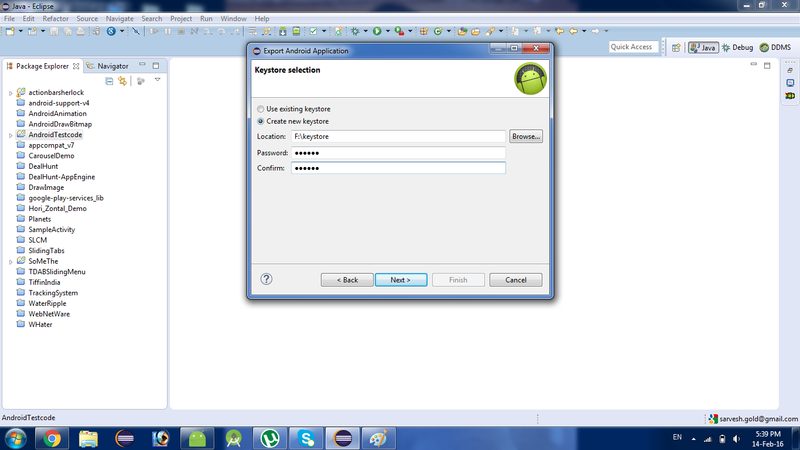 Step 6.Then, Onclick next button ,Open new Destination and key / certificate check.show image(1.4). Step 5. onclick finish Button. you can check keystore destination show export android app apk file. thank you for watching this blog.